Are you looking for a work environment which promotes teamwork and professional development as well as values, integrity and commitment? Walden is hiring! We are looking to hire in our Headquarters office of Oyster Bay, New York and our Hudson Valley Office in Hopewell Junction, New York. Walden seeks entry level and experienced engineers to assist with its expanding workload. 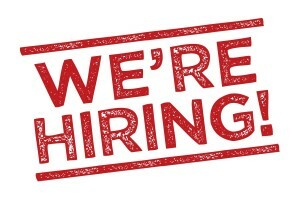 Project management experience, AutoCAD, HAZWOPER 40 hours, or holding a P.E. license are big pluses. 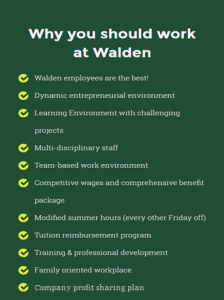 If you want to learn the business of environmental consulting from client prospecting to construction management and everything in between, you will receive that and more at Walden. 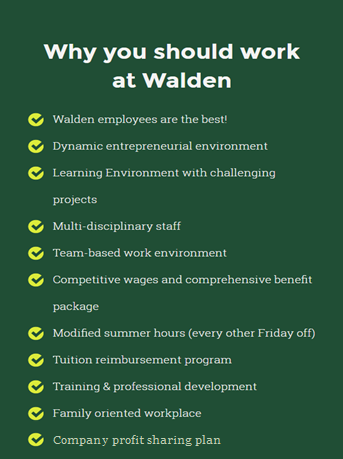 If interested, check out the rest of our website to find out what Walden is all about. Submit your resume to info@walden-associates.com. You must currently live within the United States and have a valid Driver’s License.